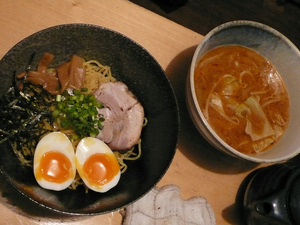 Photo of ramen in Sapporo from OPENharvest website. Here’s your chance to participate in OPENharvest, the remarkable experience that came of food and art collective OPENrestaurant’s travels to Japan with Tokyo’s Food Light Project. On Thursday March 29th, 6:30pm-10pm, the Headlands Center for the Arts will host ~OPENHARVEST JAPAN AT HEADLANDS~, an interactive evening with OPENrestaurant that will include video, images, conversation, and savory tastings that recreate their time in Japan during the 2011 rice harvest season. You can look forward to munching on Tokyo-style ramen featuring Bay Area ingredients, and sipping on drinks from the Japanese-style whisky bar, all in an immersive environment. Look for pickled bar foods, too, while stories from OPENharvest are shared in the form of conversations, audio recordings, photographs, videos, and artifacts. OPENrestaurant collaborators include Jerome Waag, Sam White, Stacie Pierce, and Howie Correa of Chez Panisse; Sasha Wizansky of Meatpaper; Jeremy Tooker of Four Barrel Coffee; Charlie Hallowell of Pizzaiolo; and Sylvan Mishima Brackett of Peko-Peko. Don’t say we didn’t remind you to wear your presentable socks because all guests will be asked to remove their shoes at the door, and evenings can be chilly at the Headlands, so dress accordingly. Tickets are $25, or $20 for members. OPENharvest was created in 2011 when OPENrestaurant and Tokyo’s Food Light Project came together to build support for sustainable food systems in Japan, traveling throughout Japan to visit farmers, fishermen, cooks, and artists, documenting along the way and organizing a series of engagements across Tokyo.